Taking over several buildings in the eight hundred block of Rue Bienville in the French Quarter, Count (an honorary title) Arnaud Cazenave in 1918 began to build a monument to the sensual pleasure of fine dining. The menu was and remains extensive; with nine oyster appetizers, fifty-one seafood entrees, and forty vegetables (among them potatoes prepared sixteen ways), it defined French-Creole cuisine for decades. The kitchen is still the largest of any freestanding restaurant in New Orleans. Dining rooms throughout the complex range from the "lovers' lookout" on the mezzanine to small chambers for intimate, private dining. True to the nineteenth-century design, the restaurant today has a serpentine network of passageways through the various buildings. 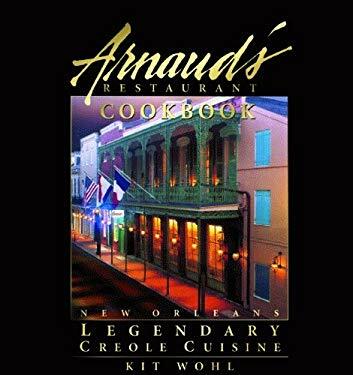 Throughout this cookbook are fascinating stories and scintillating recipes from the 1918 founding through today, as well as photographs, cartoons, drawings, and other Arnaud's memorabilia.